If you are in Southern California, one “must visit” for music enthusiasts is the Museum of Making Music, which documents the evolution of musical instruments from the late 19th century to the present day. Making Music magazine editor and chief Antoinette Follett visited the museum last week as it held the official opening of its newly renovated galleries, featuring interactive displays and incorporating modern instrument innovations. 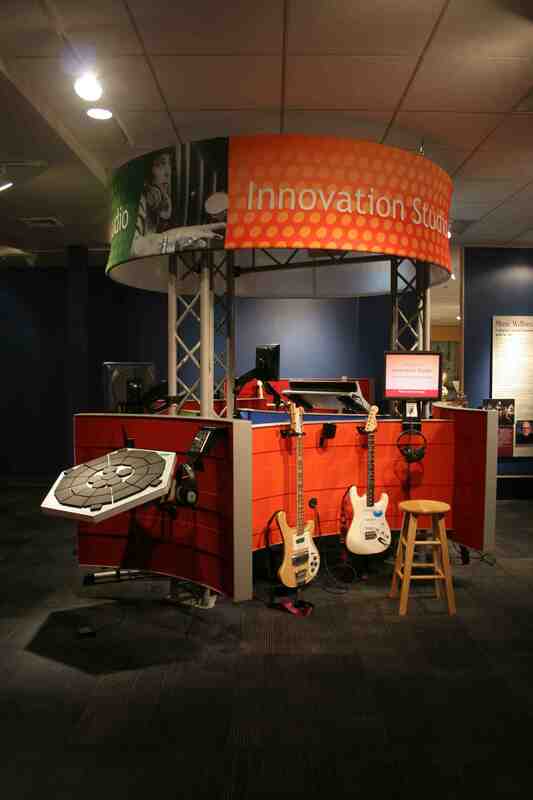 Now visitors can enjoy hands-on experience with instruments at the museum’s five galleries. The earliest years of musical innovation are featured in the museum’s first gallery, “America’s Music Industry Comes of Age.” The era’s breakthrough instrument, the Gibson Model F-4 mandolin is on display, and visitors can play a similar mandolin. The next gallery, “A Long Boom” covers music innovations of the early 1900s and the breakthrough instrument is the Ludwig drum pedal. 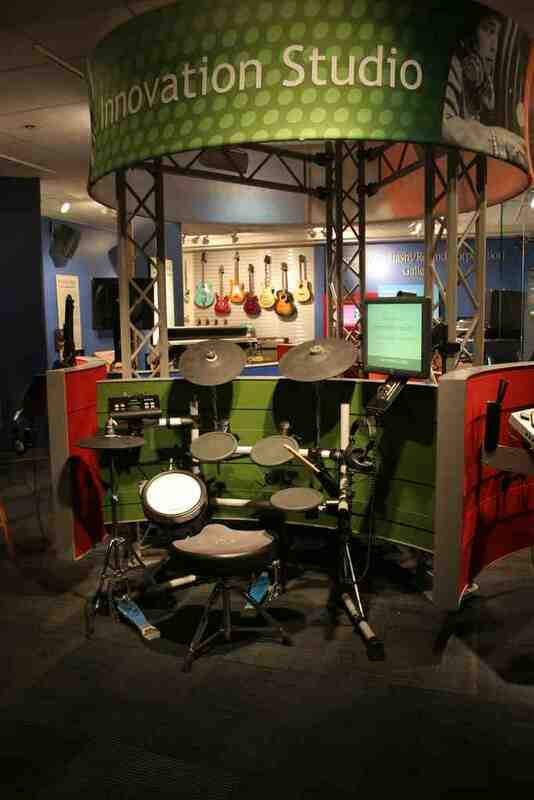 At this gallery, visitors can play a modern DD1 Ddrumelectronic drum set. Gallery three is called “We’ll Try anything” and the first solid body electric guitar, the Rickenbacker Fry Pan, is the breakthrough instrument from the era. It is displayed alongside a playable Custom Rickenbacker Lap Steel Guitar. The fourth gallery is “The Baby Boom” era, with the period’s breakthrough instrument, the Fender Telecaster, and visitors have a chance to play that same instrument. The museum’s fifth gallery, “The World Turned Upside Down,” presents the latest innovations in instruments. It received the most complete remake and now includes nearly 1,100 square feet of state-of-the-art interactive displays and highlights the Yamaha DX7 digital synthesizer as its breakthrough instrument. Visitors can sample music from around the world and play a variety of instruments independently or with friends and family. 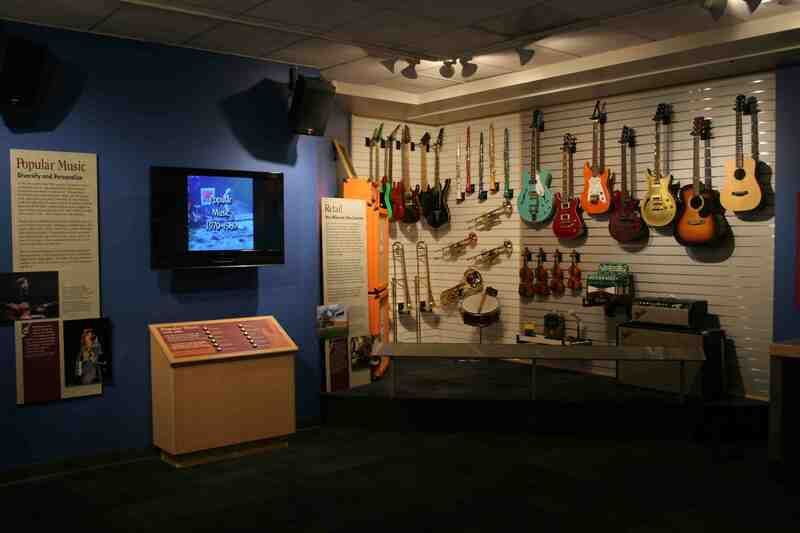 For more information on the museum and its exhibits visit http://www.MuseumofMakingMusic.org.